Proximity in design simply means that objects near each other are seen as a unit. It really is that simple and itâ€™s something you see every day. On your web page or your business card, related information is placed closely together and it forms a visual unit. Often when people are getting started with design, there is a temptation to throw everything on the page and fill up every square centimeter of space with type and images. However, it makes information difficult to digest and really doesnâ€™t look good. Using the principle of proximity, youâ€™ll find as you group those items that have something in common, and separate those items that donâ€™t, a clear visual hierarchy stands out on the page. And thatâ€™s what proximity is all about. Letâ€™s look at a few examples. A practical example is a list, for example a sidebar in a blog. Blog sidebars generally consist of lists such as categories, links, and recent posts. The image below shows two lists of the same items. On the left, itâ€™s difficult to wade through all the items as they are equally close together, while on the right you see instantly that certain items fit together logically. We can take our list further with the law of proximity and create more logical groupings and put space between the items that shouldnâ€™t be grouped together. You can now easily see that within each section of the list there are sub-sections. Even if you knew absolutely nothing about the contents of this list, you can see that some items are in close proximity to each other, implying that they are related somehow. Iâ€™ve applied another design principle, contrast, in order to make the headings stand out and attract the eye. Even from that simple example you can see that proximity makes a page become more organized. The white space in between the sections is part of the design and organization too. 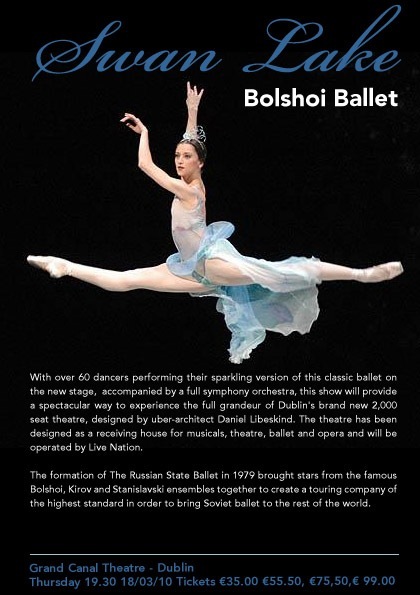 To give you another example of how your design can be improved, letâ€™s take a look at a home-made flier for the Bolshoi Ballet. Weâ€™ve all seen fliers that look a little bit like this one. There is a lot of text on the page, there is some terrible clipart which really doesnâ€™t help and there are bits of text floating diagonally at the top of the bottom desperate trying to catch an eye. Itâ€™s hard to see at a glance information such as where itâ€™s on, what itâ€™s about and the small images are distractions rather than useful design elements. To improve this design I first of all separated out the information into logical groups. 3. Where itâ€™s on and how much? Then I searched for an appropriate eye catching image to add to the design. No one design principle works alone and here Iâ€™ve applied the alignment principle so all the text runs the same width from left to right as the ballerinaâ€™s outstretched legs. There is a strong margin on each side of the flier. The dark blue in â€œSwan Lakeâ€� and the ticket information was sampled from the ballerinaâ€™s dress. This flier wonâ€™t set the design world alight, but it is an improvement on the original using proximity, alignment and contrast. Itâ€™s easy to find the information and itâ€™s certainly a little more appealing to the eye. To sum up, the main purpose of proximity is to organize information. You should allow plenty of white space around text and other elements so that you can really see the effect of grouping items together. Keep your eyes peeled when reading magazines, fliers and websites and look at how other designers use proximity and please feel free to share links to designs you like.